Welcome to FanUp and have fun with your Ultimate Game Card. I am spm8675309. If you have any questions or comments, feel free to contact me or any other Guardian. You should receive them soon, if you don't contact support. Mikematter about rochelle: No, she can't take part in contests as she is a Master Guardian that help the administrators. èòease stop referring fake accounts because can lead you to a BAN! So why don't start to write some awesome guides? dude, u need to earn 60% of fancoins from submitting guides, articles and tips only then you can seek to win the weekly leaderboard. 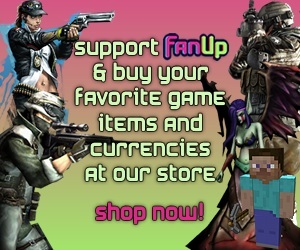 Welcome to FanUp mikemattar :) If you have any questions, feel free to contact me at any time! Have fun on here! how can i make articles and tips ?